A Perfect Circle may be available for your next special event! An art-rock band with nu-metal and gothic elements, A Perfect Circle is the side project of Tool singer Maynard James Keenan and has attracted an audience made up primarily of introspective and intellectual young rock fans. Their songs can be quirky, melancholy and even depressing, but along with Keenan's main band, A Perfect Circle has been met with considerable critical and commercial success. Sometime Tool/Fishbone guitar tech Billy Howerdel is responsible for the songwriting, while Keenan adds his uniquely eccentric lyrics and Paz Lenchantin her ethereal musicianship to the band's work. A Perfect Circle was first formed in 1997 after Keenan, embroiled in legal wrangles between Tool and associated organizations, took some time off to recuperate. He found some relief in plunging into the creation of songs based on ideas suggested by his touring associate Howerdel, and an album's worth of material was slowly polished into being over two years, with the help of Lenchantin, Troy van Leeuwen and Josh Freese. The rumor-mill attached to a band of as much cult popularity as Tool is always active, and when fans received word of a potential spin-off project, anticipation began to grow. The group, which is considered by critics to be an extension of Tool, actually is not. A Perfect Circle is less dark than Tool. A Perfect Circle's debut show took place at Los Angeles' Viper Club in August 1999 and Mer De Noms appeared the following spring. Howerdel, who had previously co-written for Smashing Pumpkins and Nine Inch Nails, had crafted an epic, surreal set of songs and Tool fans adopted A Perfect Circle with relish. The album set a new record for the highest-ever debut entry for a new band, entering the Billboard chart at number 4. Keenan subsequently returned to Tool to record "Lateralus," their hit album of 2001.
booking entertainment, such as major name entertainers or celebrities, booking A Perfect Circle, booking information on A Perfect Circle, or hiring A Perfect Circle for your special event, or to book or hire A Perfect Circle, or if you are seeking the A Perfect Circle booking agent for corporate entertainment or for a private party. Consider the opportunity to book A Perfect Circle or other entertainers for a wedding, birthday, anniversary, business meeting or convention. If you are not a talent buyer, we are unable to provide A Perfect Circle manager or management contact information. Consider this your official A Perfect Circle booking agency web site – The booking agent who works for you! This company acts as an entertainment consultant or broker/producer and does not claim or represent itself as the exclusive agent, representative or management of A Perfect Circle. 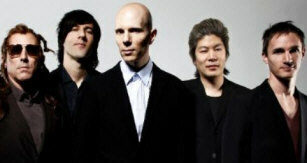 A Perfect Circle, rock music artists - booking agent. This group may be available for your event. Book them if you can. You will have the time of your life!